The first day of spring…FINALLY! FINALLY! The first day of spring! Did we think this day would ever arrive? It’s a chilly start and accumulating snow is expected this evening but just the word “spring” gives us Northeast Ohioans hope! It sure has been a rough winter here in Cleveland! Northeast Ohio’s weather is always unpredictable but one thing that doesn’t have to be…the comfort of your home! 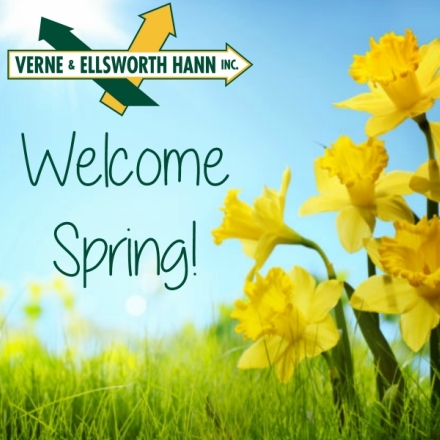 Verne & Ellsworth Hann has been keeping their customers warm in the winter and cool in the summer for over 63 years. That’s a lot of happy, satisfied customers and our reviews and feedback are proof of that! Let’s hope Mother Nature checks the date and soon we’ll be turning off our furnaces and boilers and turning on our air conditioning units!